Don’t think you are ‘famous’ enough to have your work pirated? Do me a favor: Search ‘your name’ and ‘title of your work’ and ‘torrent.’ Are you surprised at the results? Now search ‘your name’ and ‘title of your work’ and ‘free download.’ Anything surprising? 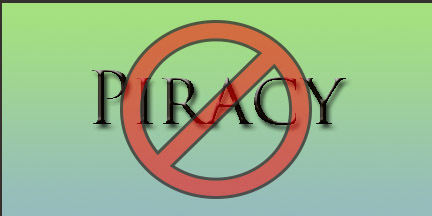 You can contact the website and file a DMCA (Digital Millennium Copyright Act) complaint. They have to remove your content as long as you are the copyright holder or authorized to act for the copyright holder. Usually you have to contact them through a web form or via email. Somewhere on their site will be a link that says “DMCA” complaints or notice or something along those lines. Click on that link and you might be taken to a form where you can contact the webmaster. * I recommend taking screen shots so you have evidence. You might also want to contact various government entities and give them a chance to gather their own evidence. It’s up to you as to how far you want to pursue this or how much time and energy you wish to expend on reporting pirates. To see the list provided to me by the District Attorney’s office, Click Here. Have the website removed from search engines so no one else can find it. If you found a list of websites that provide links to torrents or other torrent sites, you can have Google remove those websites. They are pretty quick about it too. I’ve submitted about 8 different websites and they removed the URLs within hours. Kudos to Google because in all honesty, I expected it to take WEEKS. To FILE a DMCA complaint with Google (it helps to have a gmail account), click here. Click on ‘tool’ and it will take you to a form where you can fill out your complaint. Google also has a page where you can check on the status of your complaints. They will NOT notify you if they approve of your notice. They just remove the links. I would recommend you search periodically to ensure your work isn’t being pirated. These sites pop up all the time, so you need to stay on top of it. Please see Diana Persaud’s blog for more info.